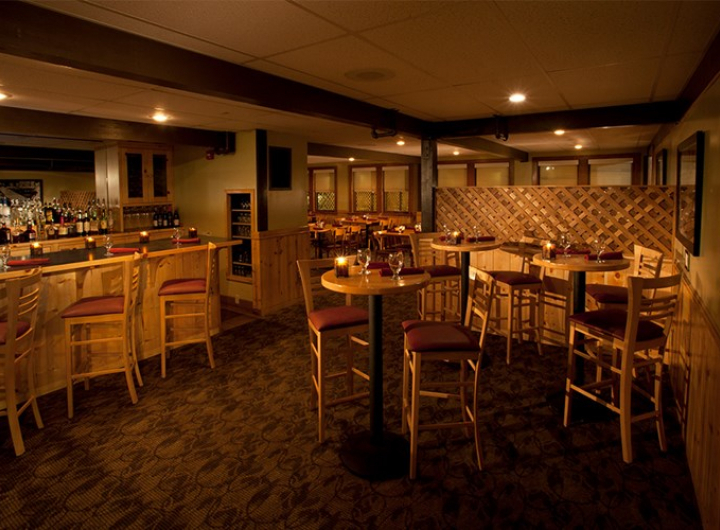 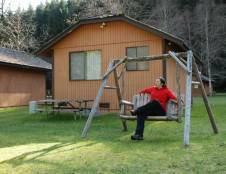 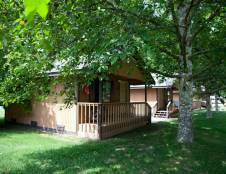 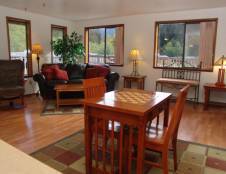 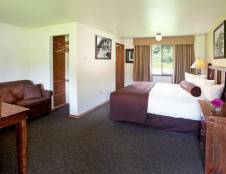 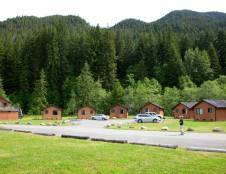 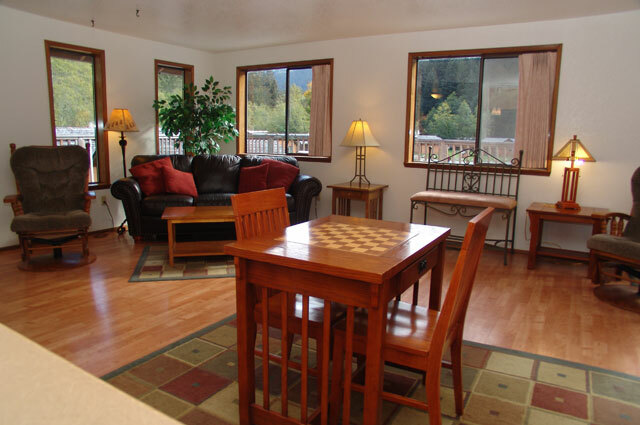 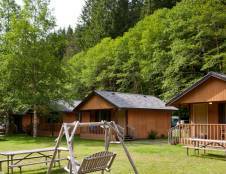 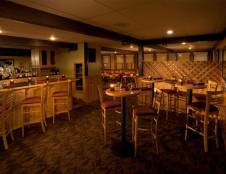 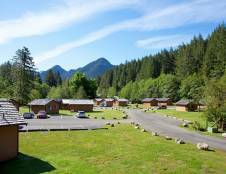 Sol Duc Hot Springs Resort is located 12 miles into the heart of Olympic National Park. 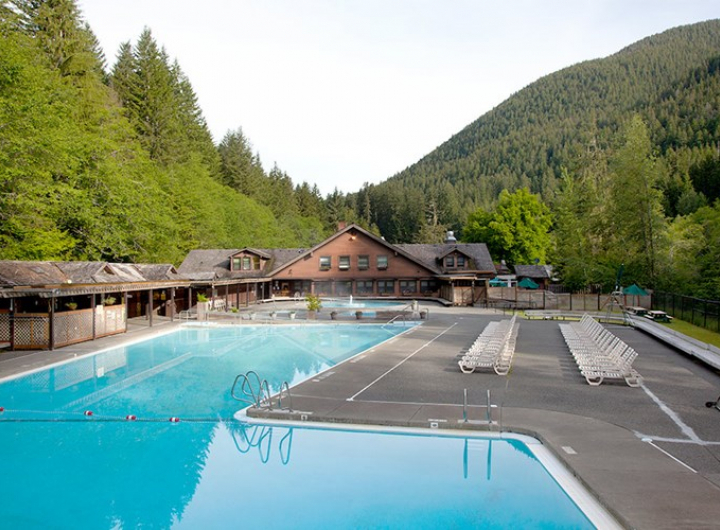 Sol Duc Hot Springs Resort offers a unique, and relaxing experience. 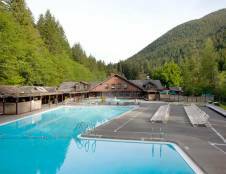 Discover the outdoor pure mineral water hot pools. 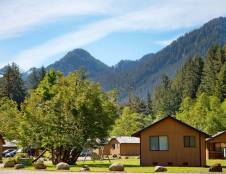 Melt away tension while being surrounded by forested peaks and the sound of the Sol Duc River gently tripping over pebble and stone. 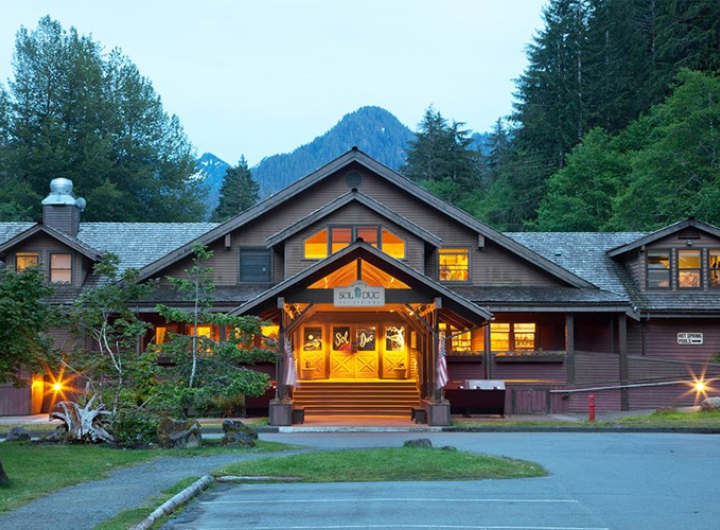 You'll be able to enjoy an outdoor lunch at Deli Cafe, take a short hike through majestic primeval old growth rainforest with the rhythm of Sol Duc Falls in the background.